This is one of the most unique World Heritage Sites I have ever visited. The old city is basically built within a palm forest. Everywhere you go are palm trees and palm gardens. 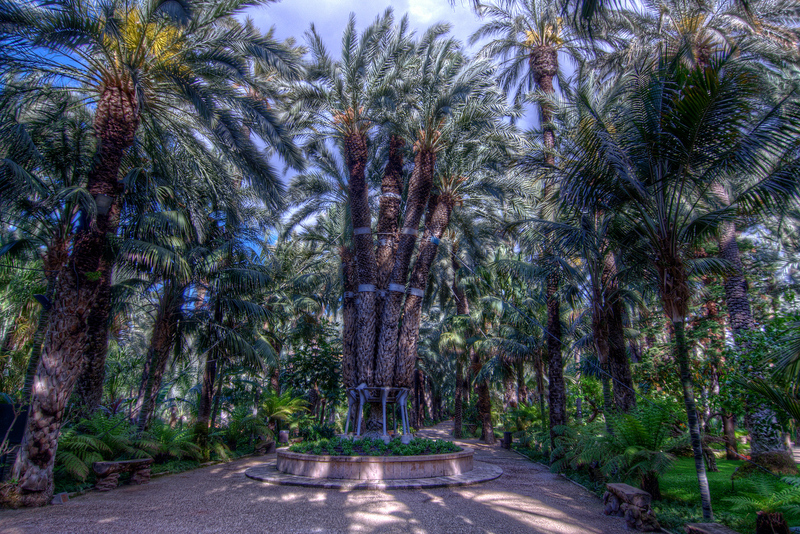 The palm forest was originally created by the Arabs when they settled in Elche to remind them of home. The Palmeral of Elche is a UNESCO World Heritage Site in Spain, which consists of a date palm orchard in the city of Elche in Spain. It was designated as a UNESCO site in 2000 because it is a unique agricultural landscape that defined the city’s identity. 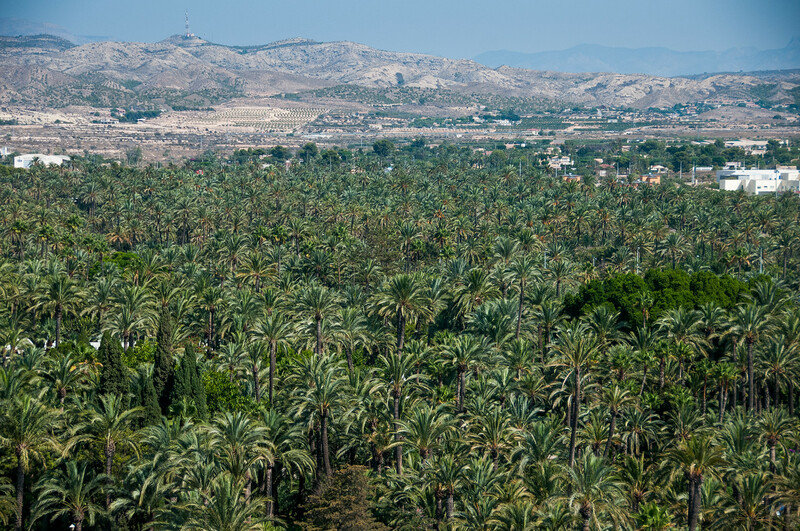 This massive palm date plantation is located in the urban area of Elche. Aside from the sheer size of the orchard, this is the only palm grove of its kind in Europe and also the largest outside of the Arab countries. 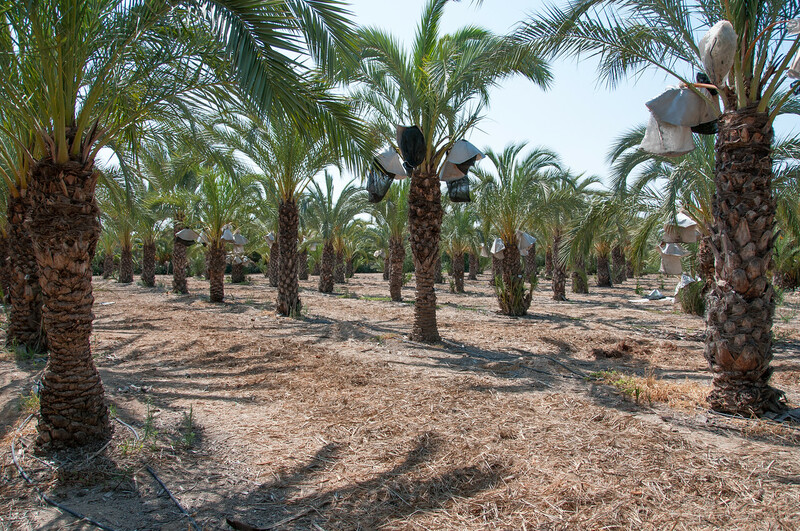 The Palmeral of Elche is composed of 97 different orchards wherein over 70,000 date palms have been planted. Most of these orchards are located along the eastern bank of Vinalopo. This number of date palm orchards is exclusive of other large plantations within the city proper of Elche. If these were taken into account, then that would bring the total number to 200,000 palms! 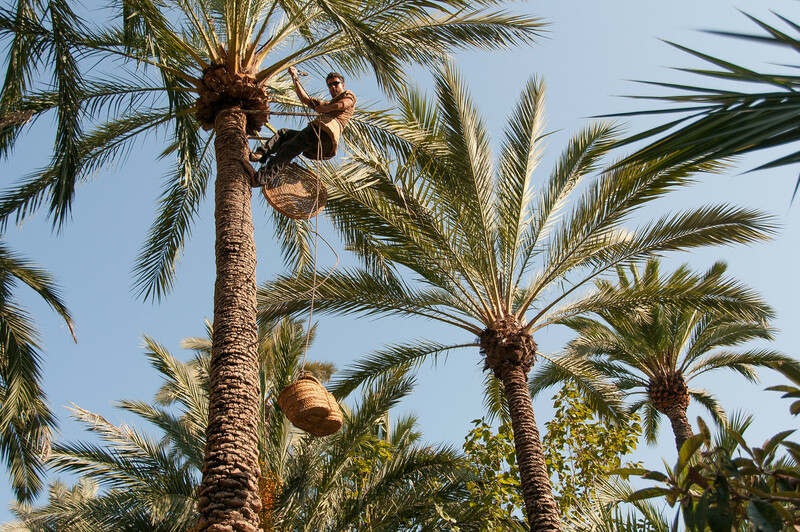 According to historians, the first date palms were planted in Elche in the 5th Century BC. It was the Romans who introduced an elaborate water management system in the agricultural application in the city. Under the Moorish empire, Elche was transferred 7 kilometers away to its location today. They helped establish an irrigation system by utilizing water from Vinalopo. The current landscape of the date palm orchard is the same as it was from the 7th to the 10th century. The palm date trees are planted in single and double rows. The current agricultural system in place is the same one as the ancient irrigation canals. This was one of the most significant factors to the Palmeral of Elche being named a UNESCO site. There are approximately 200,000 date palm trees in this agricultural landscape. On top of these, there are 50,000 more in the nursery. This is the largest plantation of dates in Europe. The entire plantation follows a grid pattern of system for the trees. There is a 2.5 kilometer walking route within the Palmeral of Elche, which tourists can explore to enjoy the view of the magnificent plantation. There is a Palm Grove Museum on-site that provides fascinating historical facts about the plantation itself. In the 1920s to the 1930s, the danger and threat to the Palmeral of Elche were recognized. It was during this time when the first legislative action was done to ensure that the palm date orchard was protected and preserved. 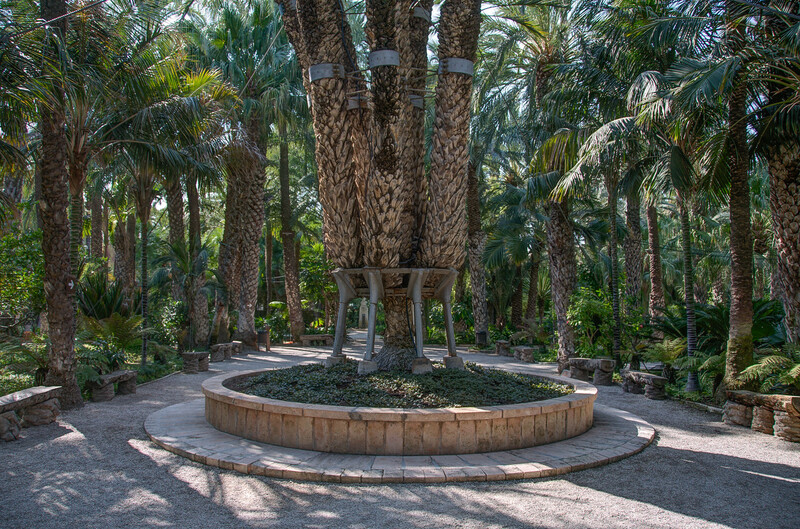 In fact, the Valencian regional government took action to ensure that the traditional use and layout of the palm grove was maintained and preserved. Hence, the establishment of Palmeral of Elche as a UNESCO site is one step further to ensure that this area is protected from threats. This is a beautiful picture, and a beautiful site. I hope to see this myself some day.